Lockdown drills should be scheduled year round with a set approach that staff is familiar with, starting at the beginning of the school year. As a district, determine the frequency of drills and district staff available for support. Use simple language such as “lockdown”, not code words. Staff and students should know that a lockdown can be called for any number of reasons, not just an active shooter. All staff have the ability to call a lockdown and ensure they know how to access the intercom or communication system to broadcast the lockdown school-wide. Be familiar with how to utilize your communication system (i.e. intercom) and if the ability exists to turn on speakers in another area so it can be monitored. Regular lockdown drills are a necessity so students and staff develop a “muscle memory” response to the term “lockdown” regardless of what type of scenario takes place. While the requirement is to hold a lockdown drill at least annually, the more often you practice them, the more likely they will become routine. Our recommendation is to hold a monthly drill until students and staff have learned the key behaviors. At that point the drills can be moved to every other month. Vary the time of day you call a lockdown - institute a lockdown during non-structured times (lunch, recess, dismissal, etc), as you never know what time an emergency will occur. Always use simple language such as “lockdown”, not code words, and never use the word “drill” for any of your safety drills. You want the experience to be as realistic as possible and for students/staff to be prepared to react immediately. Things as simple as using different terminology (drill vs. the actual thing) can be enough to disrupt the trained response. Be sure all staff have the ability to call a lockdown and ensure they know how to access the intercom or communication system to communicate the lockdown school-wide. Remind staff that a lockdown can be called for any number of reasons, not just an active shooter. Have intentional discussions with staff to ensure they feel empowered to call a lockdown, and reiterate that they use their best judgment and follow their gut. If they make a mistake, it just becomes another drill. Be familiar with how to utilize your communication system (i.e. intercom) and if the ability exists to turn on speakers in another area so it can be monitored. There are many drills that your district can choose to use as a focus for responses. Some districts choose to use “Run/Hide/Fight” while some have opted for ALICE. Because there are different options, look into them and determine what works best for your schools. FEMA’s Active Shooter Training - There is training available on response to an active shooter and is about an hour long. This might be a good resource for top level staff in a district. Homeland Security’s Active Shooter Training - Active shooter training is available on this site for a number of different roles in the community, including first responders and private citizens. Sandy Hook Promise Say Something Program - This site has no-cost, downloadable gun violence prevention training for students through the establishment of 6th-12th grade student ambassadors. FBI Active Shooter Training - The FBI provides training to civilians and organizations so they learn how to protect themselves in the event of active shooter incidents. This is an example of a resource that your parent organization may want to share to better prepare parents, families, and community members for active shooter situations in the community, including this video. 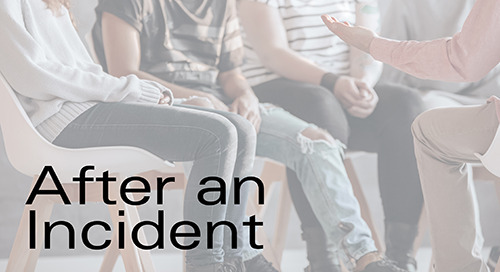 ALICE training - ALICE training is a course of action that will describe how students and staff can most effectively respond to an active shooter situation to minimize the loss of life, and teach and train on these practices. Run, Hide, Fight - This approach to training students is one to be considered to respond to an active shooter situation. Standard Response Protocol - The Standard Response Protocol (SRP) is based not on individual scenarios but on the response to any given situation.SRP demands a specific vocabulary but also allows for great flexibility. 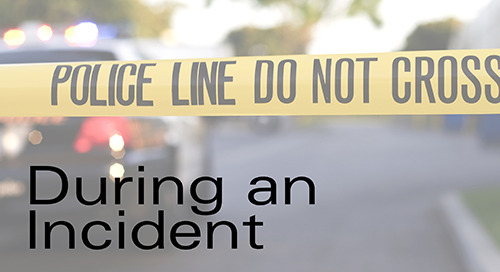 The premise is simple—there are four specific actions that can be performed during an incident: lockdown, lockout, shelter, and evacuate.